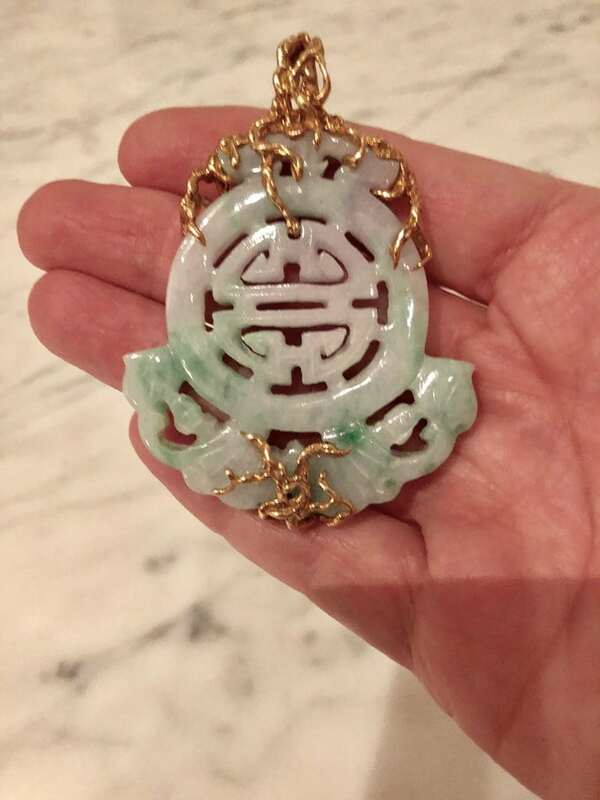 Jade Chinese pendant by Arthur King. 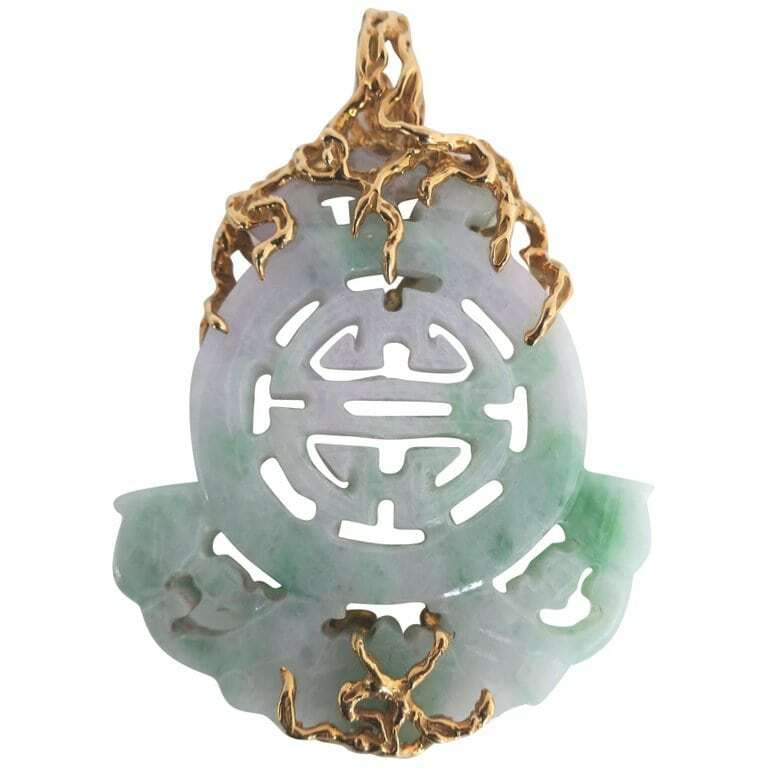 The carved variegated jade pendant ranging from smokey lavendar to bright green with openwork gold elements. 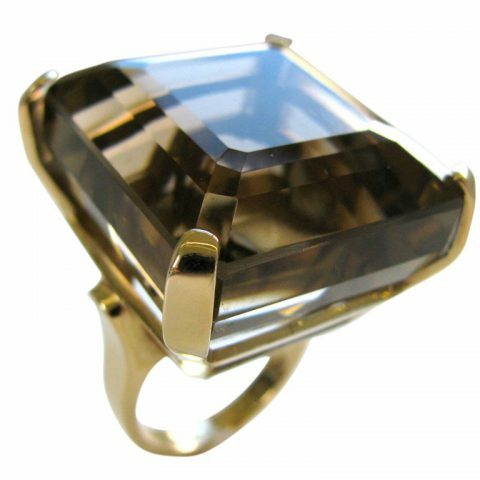 Provenance: Designed by Arthur King for the wife of a close friend, patron and companion in the late 70’s or early 80’s. I met this person in 2012 to visit his vast collection. At the time he was unwilling to part with anything but stories, which certainly enriched my knowledge of Kings wonderful personality and style. 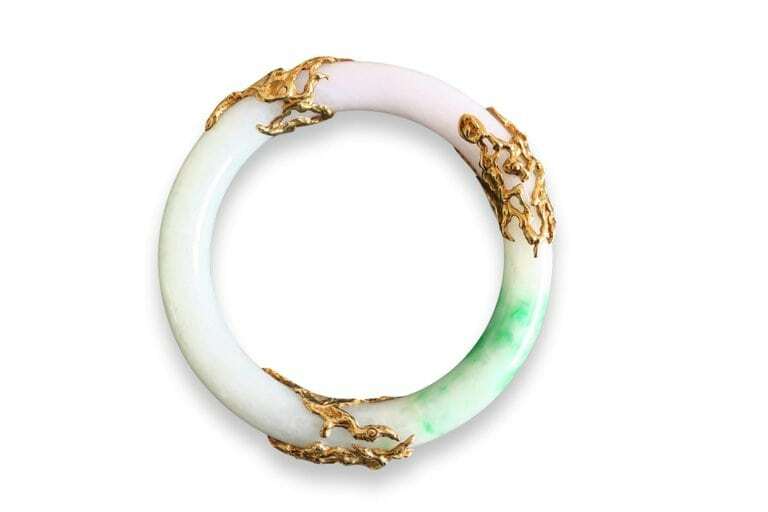 The two traveled together for years, mainly to India and Asia to source materials that could be made into Kings elegant and unique jewels. 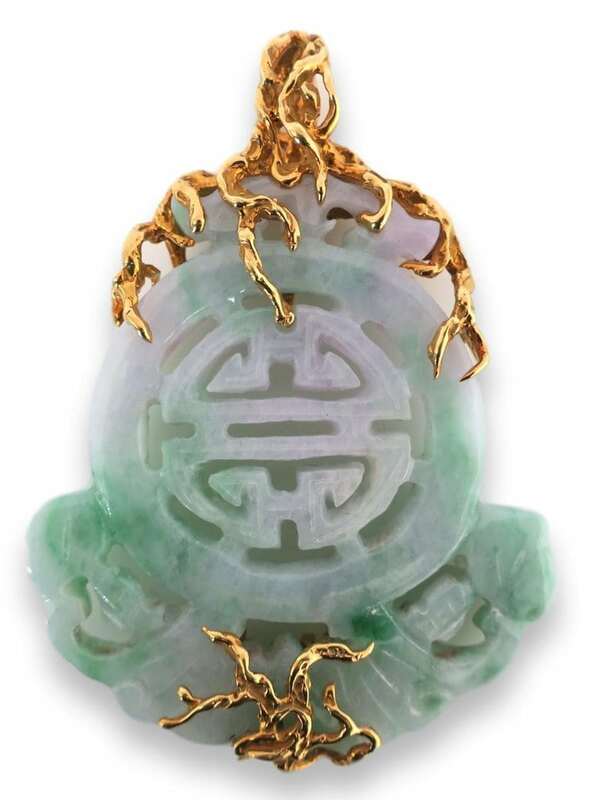 This Pendant, carved with the Chinese symbol for Longevity, is born from one of those memorable occasions. 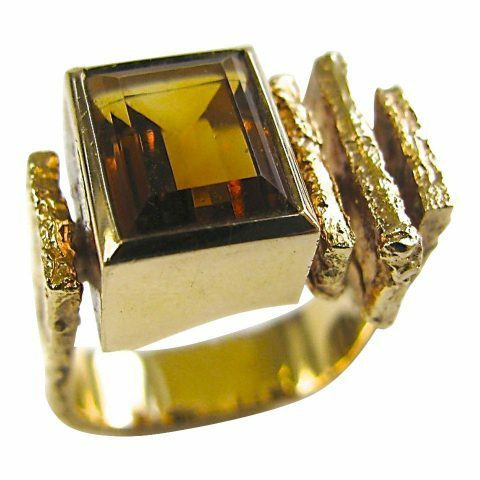 I remember coveting this piece on dining room table. We were fortunate to acquire it some years later. ( Oh the life of Objects!) . 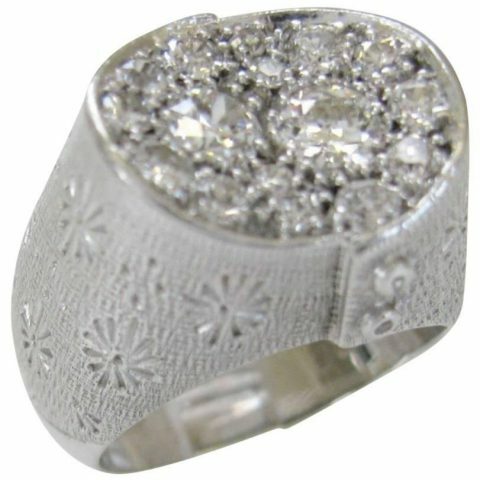 To see the matching bangle bracelet, also from the same estate please look at our other listings.